Home Healthy Living Miserable in the South? Gallup poll rates well-being across the U.S.
People in the South can be pretty miserable. According to a recent Gallup poll, the well-being of Americans hasn’t gotten any better in the past six years, and it’s worse if you happen to live in much of the southern U.S.
Mississippi and Alabama are near the bottom of the pack when it comes to overall physical and emotional health, healthy behaviors, work environment, social and community factors, financial security, and access to necessities. Georgia was right around in the middle at No. 27. The Dakotas topped the well-being list. North was No. 1 and South was No. 2, followed by Nebraska, Minnesota, and Montana. 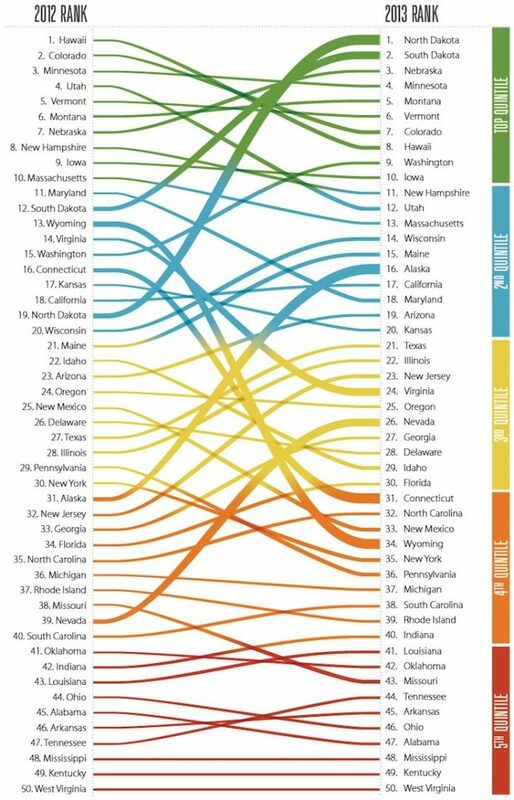 West Virgina was at the bottom for the fifth consecutive year, followed by Kentucky, Mississippi, Alabama, and Ohio. Well-being matters because it effectively reflects health, employment, education, and the local environment, Dan Witters, research director of the Gallup-Healthways Well-Being Index, told 24/7 Wall Street.